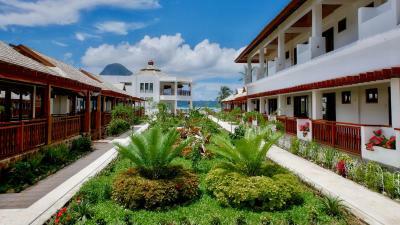 Lock in a great price for The Nest El Nido Beach Resort – rated 8.1 by recent guests! The staff was great and the room was clean and comfortable. The staff were polite, friendly and helpful. The transportation to and from town and the airport was a huge plus! Friendly staff, clean room, beautiful view of sunset!! There was free transport to and from the airport and to and from the town. The food was lovely and the staff were very friendly. Beautiful location and great staff helping us with all our needs! Staff were friendly, attentive and kind; each individual working at the hotel (front desk, security guard, outdoor maintenance, housekeeping, tricycle drivers, restaurant staff, construction workers who were updating the pool) were a delight to interact with. The hotel felt incredibly welcoming and comfortable and the room was spacious. While the hotel was off the main road, I loved the location by the beach and the 'off the grid' feeling. Food was delicious - they have talented cooks making the food! I would return and would recommend this hotel to other visitors. Great location! 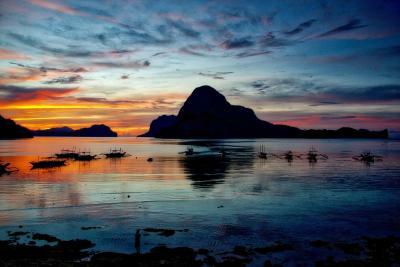 Walking distance to El Nido but far from the noise. Super clean! Staff and food was amazing! Its what vacation are for, you relax and enjoy. The staff were all friendly and they spoon-fed you from booking of tours and any services you wanted. They also provide free transportation from hotel to el nido town. 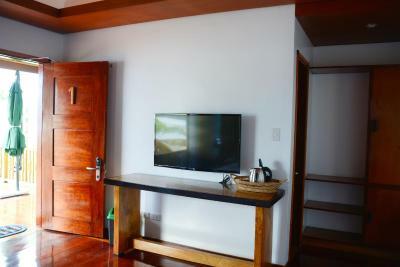 The Nest El Nido Beach Resort This rating is a reflection of how the property compares to the industry standard when it comes to price, facilities and services available. It's based on a self-evaluation by the property. Use this rating to help choose your stay! One of our top picks in El Nido.The Nest El Nido Beach Resort offers air conditioning rooms with free WiFi. 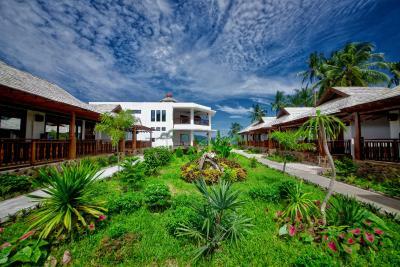 This property in El Nido is within 5.6 mi of Big Lagoon El Nido and Small Lagoon El Nido. Matinloc Shrine is 8.1 mi away from the resort. 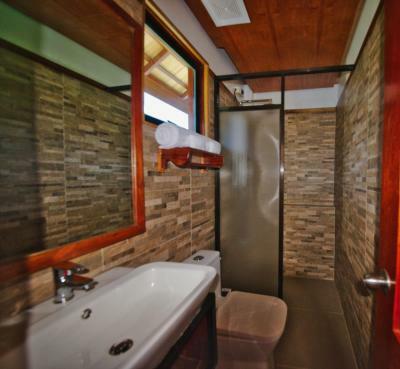 All guest rooms at the resort are equipped with a seating area and private bathroom with free toiletries. 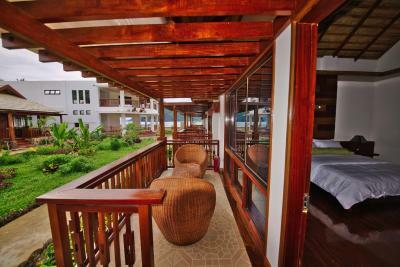 Certain rooms at The Nest El Nido Beach Resort also feature a balcony. Amenities such as flat-screen TV with cable, desk, kettle and mini-bar are also available for guests. 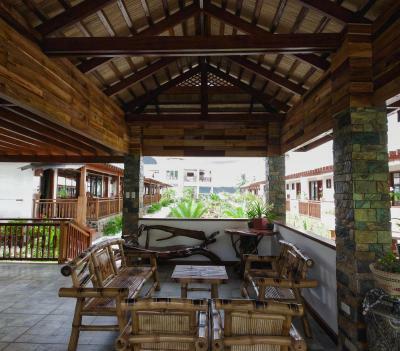 A continental breakfast can be enjoyed at the restaurant while guests marvel on the views of the nearby Cadlao Island. Special diet menus are also available upon request. The staff at the 24-hr reception desk can assist guests with their concerns and luggage storage. Speaking Filipino and English at the reception, the staff are ready to help around the clock. 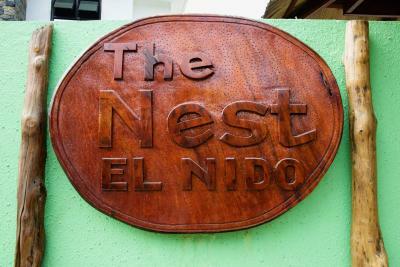 When would you like to stay at The Nest El Nido Beach Resort? This villa has a balcony, satellite TV and garden view. This villa features a balcony, electric kettle, mini fridge, air conditioning and ceiling fan. The private bathroom has hot shower facility. 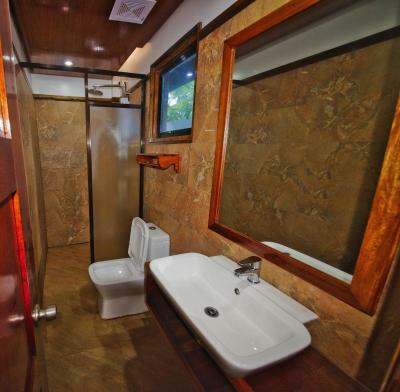 This villa has a balcony, air conditioning, a ceiling fan and private bathroom with hot shower facility. 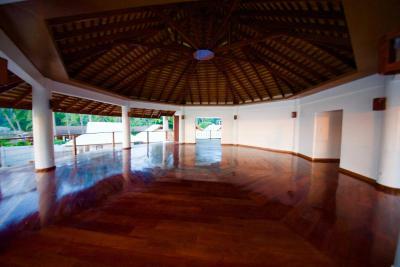 Villa features a veranda deck, air conditioning and a mini fridge. This twin/double room has a balcony, tile/marble floor and cable TV. This double room features a balcony, seating area and air conditioning. 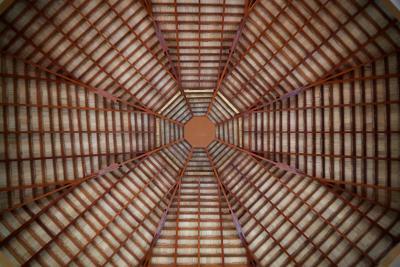 House Rules The Nest El Nido Beach Resort takes special requests – add in the next step! 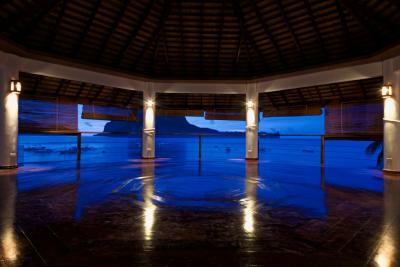 Please inform The Nest El Nido Beach Resort of your expected arrival time in advance. You can use the Special Requests box when booking, or contact the property directly using the contact details in your confirmation. There was construction work over the dinning area and the pool. They had problem with there wifi for the 3 days we were there. 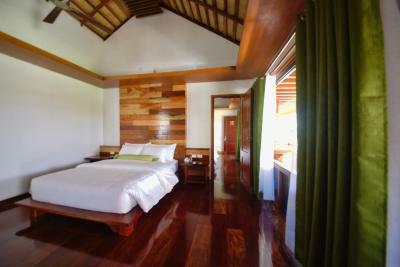 Villa style and spacious room. Comfortable bed. Nice view of sunset. Good variety of brekky. Like the complimentary pick up and drop offs. The air conditioning in the room was weak and not in the best location in the room. The room never got cool enough to sleep comfortably. Rooms not clean, rooms not well furnished. Insects everywhere in the room and in the restaurant. Breakfast really poor. Overall not good for the price. Very poor water supply in the shower. Beach is not recommended to stay take a bath or relax. Location is hard to find. You always have to wait for the pick up and drop service unless u want to walk 10 minutes. We had ants in our bathroom but that’s „normal“ in El Nido. 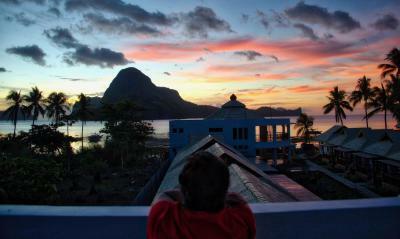 We transferred the hotel and stayed in central el Nido for half the price and the hotel / rooms where better. Hotel was away from the main area therefore it was very quite and good to relax. Nice breakfast place at the ppl with sea view. 6am to 10pm Transport Service as hotel is not able to reach by trycle. There was only 2 things that let the hotel down. Whilst we had some very nice meals at the restaurant, one night they served my boyfriend raw chicken and when we told them about this the waitress & the chef didn’t really understand our concerns and brushed it off as chicken should be cooked ‘medium rare’. The other let down was the building work/renovations which meant it was quite noisy during the day and the pool wasn’t properly finished (although you could still swim in it). There were only 2 proper sun loungers. The toilets by the pool were out of order the whole stay. There are no steps down into the pool. People of limited mobility were not able to access it. There was building work going on all day, for both days, while I was there. Drilling, hammering and an angle grinder. Very noisy but no apology made. The cans if soda in the 'mini bar' were 60 pesos but by walking the 20m the team bar...try jumped to 100 pesos!! Same cans, same establishment...not impressed! For the money I paid, I was expecting more! Staff and owner went above and beyond to meet our needs. Food was awesome but the view was the most spectacular! The nest is ideally suited to the town of El Nido and the complementary shuttle is fantastic, the staff especially reception are wonderful! The rooms were clean but my friend ended up getting foodposioning from the seafood salade. The rooms were large, garden in the middel was beautiful, the aircon worked well, the service was great (they made calls for us, took us to the medical center, took us up and down into town - lally and abet pickup spot and had a nice pool. Room was clean and comfy, had a robe! Staff were friendly and helpful. Hotel provided tricycle to and from the town and free airport shuttle. The only downside was we didn’t get to use the pool as it was getting renovated and there were so many things under construction at the time of our stay. Too many workmen were lurking about in front of our room. Too noisy, there were just so much construction going on , we just wanted to enjoy the view! 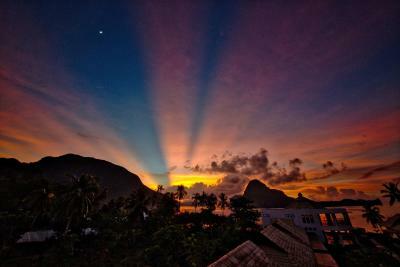 We were put on the best room out of the entire hotel with a breathtaking view of El Nido just across our bedroom. So thank you because that’s your biggest point! Everything else was great from breakfast, nice to have different options every morning. The bed was comfortable and massive thumbs up on the staff’s hospitality. Everybody was friendly and were always happy to help!